Our grandfather, Keisaburo Koda, was born in 1882 in the Fukushima prefecture of Japan. His father, formerly a samurai of the Taira Clan, became an established miller and broker of rice products. Earning a university degree, Keisaburo consequently secured a position as a school principal in his early twenties. Familiar with stories of fellow countrymen journeying to America to seek their fortunes, Keisaburo eventually resigned to pursue his dreams. 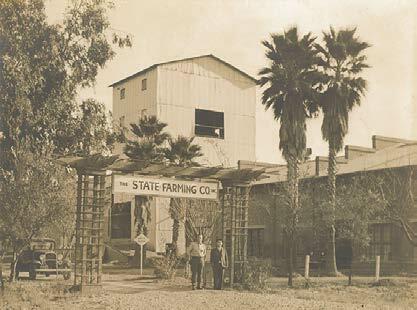 Arriving in California in 1908, Keisaburo undertook numerous ventures, including wildcatting for oil in the Coalinga hills and opening a chain of laundry shops. With a handful of partners, he established North America Tuna Canning Company near San Pedro to process the catch of 39 Japanese American commercial vessels. After this was sold he founded Golden West Canning Company in Los Angeles to process vegetables. Eventually, Keisaburo relocated to northern California to farm rice in Sutter County, leasing acreage near Knight’s Landing in the late 1910s. An innovator at heart, Keisaburo helped pioneer rice growing techniques such as sowing seed with airplanes. By the late 1930s, his integrated farming operation included a modern rice dryer and mill allowing quality control from seed to store shelf. 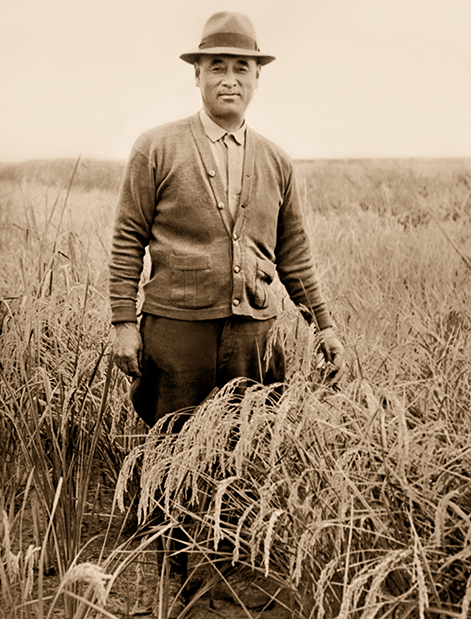 Due to his success, Keisaburo became known amongst Japanese Americans as the "Rice King." The outbreak of war with Japan in 1941 led to passage of Executive Order 9066 which relocated Americans of Japanese descent to internment centers away from the West Coast. Notified of their impending relocation to Colorado, the Koda family planned to temporarily shutter their operation. The United States government, however, mandated that their business be kept running to produce food and fiber, forcing Keisaburo to entrust management to non-Asians. Upon their release in 1945, the family immediately headed home. Land, dryer, mill, mechanized equipment and planes had been liquidated, along with their homes and livestock. Undeterred, reconstruction of the business was assigned to Keisaburo’s sons. Edward and William built another processing facility a quarter mile from the original homestead and gradually purchased new acreage. In the late 1940s, the brothers noted an unfulfilled demand for "sweet rice" and became the first commercial growers of this variety in California, consequently developing the American market for sweet rice and its flour. Sho-Chiku-Bai® Sweet Rice garnered an unmatched reputation for purity amongst discerning Asian clientele. Blue Star® Mochiko Sweet Rice Flour made its mark as an innovative thickening agent with superior freezing properties valued by food manufacturers. The internment behind him, Keisaburo focused his time and energy on improving the welfare of Japanese Americans. A supporter and active member of JACL (Japanese American Citizens League), he launched the People’s Rights Protection Association to lobby against the notorious Alien Land Law (declared unconstitutional in 1948). In 1947, he organized the Naturalization Rights League and served as president. In the same era, he help start a Japanese American owned and operated insurance company to provide full coverage to Americans of Japanese descent. 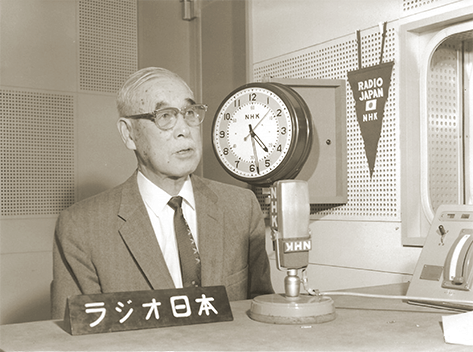 Recognizing a need for fair treatment in banking, Keisaburo was instrumental in opening Bank of Tokyo’s first California branch, becoming a director in 1952. To encourage better relations between United States and Japan, Keisaburo established the California Farming Trainees and the Japanese Farming Youth programs bringing Japanese trainees to the United States to study American agriculture in the early 1950s. Keisaburo received numerous citations including the Order of the Sacred Treasure, 4th Degree in 1960, and Order of the Sacred Treasure, 3rd Degree, from Emperor Hirohito of Japan. These distinctions acknowledged his efforts promoting better understanding between the United States and Japan and his pioneering work as a role model for other immigrants. In 1954, he finally became a naturalized citizen, a distinction of which he was unfailingly proud. Today, Koda Farms is owned and operated by the grandchildren of Keisaburo. As third-generation farmers and millers, siblings Ross and Robin Koda look forward to the farm’s approaching centennial.